We’re here for you! Leave the hard work to us! Being a landlord is a hassle. Who has time for advertising, finding good tenants, writing leases, collecting rent, taking tenant calls and complaints, arranging repairs, meeting service techs and becoming an expert in landlord/tenant law? Just the sound of it makes owners cringe! What happens if you find the wrong tenant and need to evict? If you don’t know the strict state landlord/tenant laws, you could risk costly legal action from a tenant. You just want your property rented. You just want a check each month. We hear you! We’re flexible! 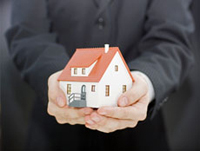 We can provide full property management, lease-only or management-only services. Advertise your property on numerous web and social media sites. Maximum exposure! Show your property through licensed real estate agents. Screen tenants using a 3rd party who uses the latest state and national background, credit and employment checks. Supply lease agreements. No legal fees for you! Handle all tenant questions and issues. We provide a 24-hour tenant emergency number. We can also handle evictions if necessary. Coordinate maintenance repairs with our preferred vendors. Conduct interior inspections every six months.